We are delighted to announce that Blues & Roots Radio have won our annual award for 'Best Radio Station' in 2017. Blues and Roots Radio is a multi award winning global online broadcasting network based in Port Credit, Ontario, Canada and Melbourne, Victoria, Australia with hubs in the UK, Ireland and the USA playing the best Independent artists 24/7. This is the second year running that this excellent radio station and network has won the top spot, this time on a public vote. Huge congratulations to Stevie, Anne, Neil, Megan and the rest of the Blues & Roots Radio family, including all the show presenters. From September 1st 2017 they are now home to two stations, BRR Essential and BRR Discover, both independent online radio stations playing independent artists from around the world. Over 50 shows are housed on our network from around the world of which a vast majority are produced exclusively for us playing Blues, Soul, R&B, Americana, Alt Country, Bluegrass, Celtic, Folk, Roots and everything in between. Our nominees for the award this year were truly international with radio stations submitted from around the world. Please check them out if you haven't listened to them before. We are thrilled to announce that Carousel wins our LCM award for 'EP Of The Year' for their self titled debut EP. Huge congratulations to Thomas Eatherton, Chris Hobart, Sarah Holburn, Toby Shaer, who also took home our 2017 LCM 'Favourite New Artist of the Year' award. Our runner-up this year was the excellent 'Hide' by Hattie Briggs. We are very excited by this one as Hattie released it at one of our LCM London gig earlier in the year, as part of her wonderful 12 Months Of Madness project. Carousel’s highly anticipated debut EP was released on 22nd September 2017. The 4-piece Indie-Americana music collective are based in Southend-on-Sea on the coast of Essex, UK. Carousel fuse Americana, country, folk, rock’n’roll, blues and roots music into their own unique approach whilst taking full advantage of having 4 accomplished vocalists at their disposal. The band’s influences include an array of artists from Bob Dylan and Johnny Cash to the modern day Americana stylings of Brandi Carlile and The Lone Bellow. The band’s aim is to breathe new life into music venues and street-level performances around the UK, with a view to remove the barrier between artist and audience. Carousel was founded in the summer of 2015, following the decision that four good friends and solo musicians would come together, with the ideology that they are better together than they are apart. Music is as much a part of one band member as the next and it is something that is a constant staple in each of their lives. Sharing a musical vision that is encompassed by friendship and honesty, Carousel present a fresh take on passionate and heartfelt music. Their songs are both uplifting and sombre. Wistful yet forward-looking. Two years in the making, Carousel have finally released their debut EP, which includes five of their most energising and emotive songs. They performed on a number of festival bills in summer 2017; most notably Leigh Folk Festival, Live Expressions Festival, Daxtonbury Festival and are becoming increasingly sought after within the UK’s live music scene. We are delighted to announce that as chosen by our LCM Facebook Group members Ange Hardy wins our LCM award for 'Best Live Act' in 2017. 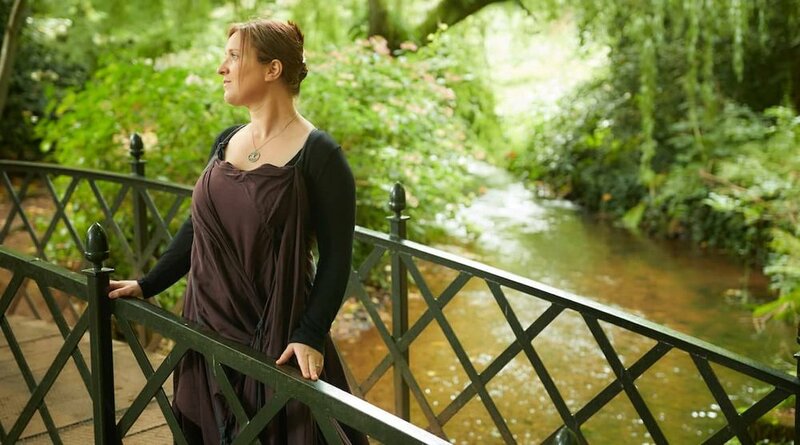 Ange Hardy is a most remarkable singer-songwriter and instrumentalist, the kind that writes songs which are so classic you think they have existed in the folk cannon for centuries. Ange is also unique as she is the only folk performer we know to use a loop station (called Mr. Miyagi), which she does to great effect. Her highly anticipated and recently released album 'Bring Back Home' is already receiving high praise. It's not too hard to understand why. Our runners-up this year are the all-star Sam Kelly & The Lost Boys, who are rapidly becoming one of the 'must see' live bands on the festival circuit. After a hard fought and close contest we are delighted to announce that as voted by our LCM Facebook group members 'Long Lost Home' by Daria Kulesh wins our LCM album of the year for 2017. 'Long Lost Home' released back in February explores the unique story of a family and a country in song. 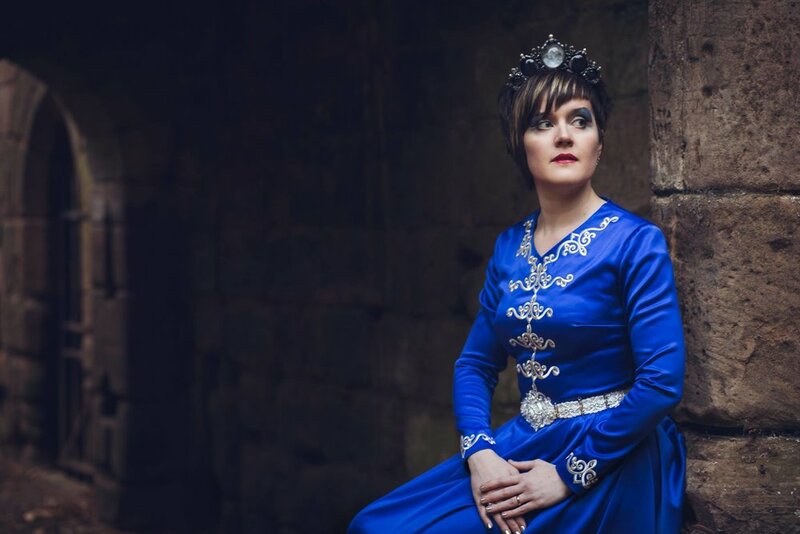 Russian-born but now settled in Kings Langley, Daria Kulesh combines a “truly extraordinary voice” with strong Russian and Ingush heritage. Her debut 'Eternal Child' was described as “phenomenal” by FATEA and named ‘Album of the Month’ and Runner Up in ‘Best Album of 2015 from a Female Artist’ by FolkWords. 'Long Lost Home' Daria's sophomore solo album has already attracting a lot of interest. Inspired by the troubled, tragic but fascinating and enigmatic history of Ingushetia, a mountainous republic in the South of Russia, the album is set apart by its unique subject. On top of that, Daria’s personal link to the stories through complicated, severed and disrupted family ties injects the songs with raw passion and power. Congratulations Daria and her team who created the album. Congratulations also to our runners-up Ange Hardy and Laura Mulcahy. If you haven't listen to the albums on our list, we encourage you to check them out. Some excellent music from the bottom to the top. We are thrilled to announce that Jess Morgan will be headlining at The Winemaker's Club in Farringdon on the 6th May. Our special guest for the evening will be Tom Hartley Booth who will be opening the show and then performing with Jess on some of her songs. With it's great acoustics and intimate candle-lit setting in the heart of London, this is not to be missed. Laurel Canyon Music are proud to present an intimate evening of acoustic music with two of the finest rising stars of UK Country & Americana in one of London's favourite music venues. Liv Austen is a very talented Norwegian singer-songwriter who grew up in a musical home and sang from a very early age. As a teenager she started writing her own songs and in August 2014 she released her first record, the four track EP "Workin' Man's Dream" which was awarded the esteemed W21's EP of the year. Liv started gaining momentum and received praise from other musicians and bands and got rave reviews from blogs such as '4000 Miles to Nashville' and 'For The Country Record'. The first single from her debut EP was the very catchy 'Rain On My Side' and the audience favourite 'The Guts You Always Had' followed soon thereafter. Liv's single 'Don't Regret a Single One' from her 2016 EP 'Who I Am Today' was her first song to be played on BBC Radio2. Just two years after her debut EP she is now considered a main player on the UK country scene and her new single 'Over', written by Ben Earle (The Shires), was released through Decca Records to amazing reception from audience and reviewers alike. Liv is currently working on new music to be released in 2017. The Southern Companion are a Country and Americana band from the South Coast of England. Their sound is a fusion of all the music they love," a sonic whirlpool where the UK and US currents meet". They are a band on the rise, recent winners of two British Country Music awards (The Horizon (best newcomer) and Album of The Year for '1000 Days of Rain'). At the very beating heart of the band is their singer-songwriter and lead vocalist Darren Hodson. The band's collective CV is long and varied with individual members having played for Tom Jones, Lulu, Rumer, James Morrison, Lana Del Ray, Pete Townsend (The Who), Jon Allen, John Isley and Vanessa May amongst others. They have played together on and off for over 20 years in various projects which all finally lead to The Southern Companion and the album '1000 Days of Rain'. In 2015 Darren toured the UK and Europe as the support act and guitarist for Rumer, including a career highlight opening at The City Winery in Nashville to a "roof raising" reception. Also in 2015 the band stormed the CM&T International Artist chart with the single "Drive" peaking at Number 3 twice! 2016 saw the bands best year so far with a UK tour supporting Lulu and numerous festival appearances including Europe's biggest Country Festival Country 2 Country at the O2 in London. The next few months will be busy for the band as they are currently recording their third album, which is due to be released in 2017. LCM are proud to launch a brand new weekly one-hour podcast and playlist called the "Jacaranda Sessions" at the Lookout Mountain Music Club featuring some of our favourite music old and new. "It's not about the money......it's all about the music!" We are pleased to announce that our next LCM showcase at St. Pancras Old Church on the 26th May will be the official release concert for 'Natalie', the brand new single from The Jess Morgan Trio. Natalie with be the first single taken from their great new album. Our runner-up is a musician and good friend who I have known for a number of years, the lovely Daria Kulesh. Daria wins 4 VIP Tickets to a LCM gig of her choice. In the bronze medal winning postion is another very good singer-songwriter who will be supporting Kelly Oliver at Uxbridge Folk Club soon,Amy Goddard Music. Amy wins 2 VIP Tickets to a LCM gig of her choice. Congratulations also to Katie (Little Sparrow) and Steve Pledger who also did so well in our poll. They both have great debut albums, which are some of our favourites. A big thank you and congratulations too to all of our final nominees who polled strongly Minnie Birch (last years LCM Music Fund winner), Kadia (The Band), Kelly Oliver, Tobias Ben Jacob andLukas Drinkwater, Marina Flo and Iona Lane Music. A huge thank you and congratulations to all the nominees on our list and to everyone who took time to comment, vote and listen to their music. We hope that you have enjoyed discovering the music of artists new to you and hope that you will go to see and meet some of your new found favourites this year. We will be shortly announcing the winner of the ticket draw for the people who voted in the poll. We are delighted to announce that the 2015 LCM Award for Best album is awarded to Esteesee by Ange Hardy. Congratulations again Ange on a great album and a very successful 2015. With Ange's new partnership with Lukas Drinkwater and new projects on the horizon, we are sure that this success will continue into 2016. Huge congratulations also to Tracey Browne and Raevennan Husbandes for securing the No. 2 position. East by Northwest is also another gem of an album, well worth adding to your music collection. Thank you everyone who voted for your favourite album of the year. #3 Amy Goddard - Burn & Glow. Black Feathers - Soaked to the Bone. We would like to give an special LCM Group Award for Best Debut album of 2015 jointly to Hattie Briggs for 'Red & Gold' and Minnie Birch for 'Floundering'. We would also like to give another special LCM Group Award for Best EP again jointly to Jess Morgan for 'The Bournemouth EP' and to Hattie Whitehead for 'Home'. 2015 was another excellent year for music, with Folk, Country and Singer-Songwriters genres doing partically well. All the nominees in our final list have produced some very good albums and all are worth exploring. We are honoured to have so many talent musicians as part of our FB Group. LCM are thrilled to announce a new spring series of showcase concerts at the historic and intimate St. Pancras Old Church, London. 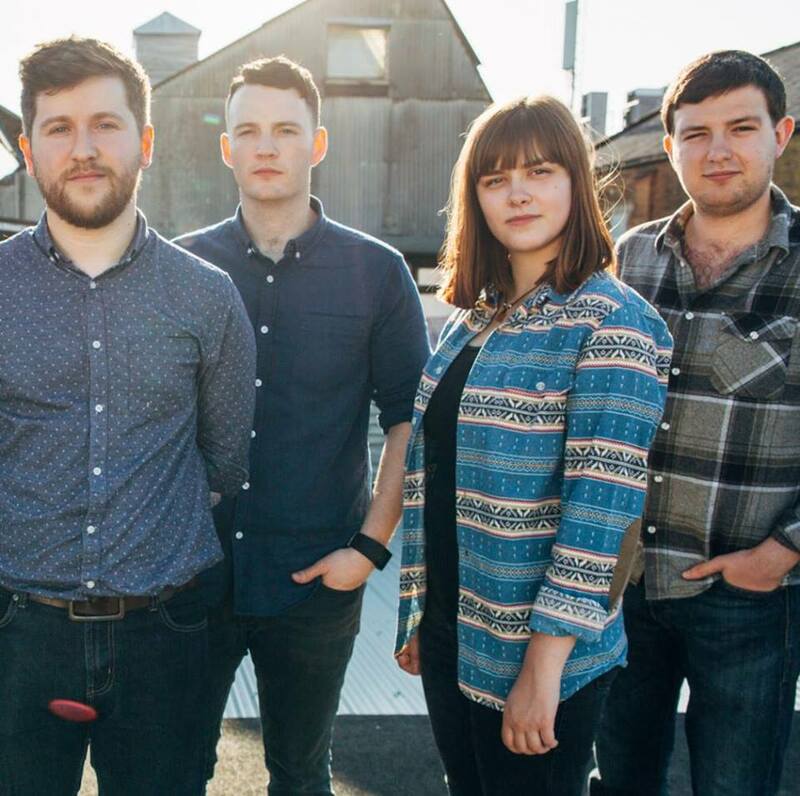 Headlining on Thursday 17th March will be one of our favourite bands the award-winning The Willows together with a very special guest one of our favourite young singer-songwriters Hattie Briggs. Both are excellent live and have released 5* rated albums in the past year. Tickets are available now with early bird's at just £10 + bf and advance at £12 + bf. With amazing musicians, a sell-out attentive and appreciative audience and amazing sound our first LCM showcase concert at the historic St. Pancras Old Church, London was a resounding success. A huge thank you to Beth Rowley and her Band (Rob Updegraff & Joe Harvey-Whyte), Little Sparrow (Katie Ware) & Sarah Dale and Hattie Whitehead. Also to the LCM team on the night, our compere and MC Tom Du Croz, our Sound Engineer Alex Carson, Shay Rowan, Minnie Birch and Damien O'Doherty. Big thanks for Mike Watts and Oleg Katchinski for the photographs. The evening will be MC'ed by a great supporter of independent music in London, Tom Du Croz of the London Gig Guide. We hope all of you will join us for this very special night of music. We are delighted to announce that the first winner of the Laurel Canyon Music Award is Minnie Birch (Emily Jacques). We are thrilled to have been able to support Emily's debut album 'Floundering', which has just recently been released. The Awards are funded by any profits that the LCM makes in promoting and organising gigs. The LCM fund is designed to help selected Group members with their musical projects. Laurel Canyon Music are thrilled to announce a new showcase series of concerts at one of London's most beautiful, inimate and historical music venues, St. Pancras Old Church, London. The venue is one of the oldest church sites in the UK, dating back to the 4th Century. Just a stone's throw from King's Cross/St. Pancras Station, St. Pancras Old Church is one of London's first choice venue's for musicians. Our first concert held on Friday 25th September will feature the award-winning and BRIT nominated singer-songwriter Beth Rowley with very special guests Little Sparrow (Katie Ware) and Hattie Whitehead. Not to be missed. It would be great if you could join us on these special nights.